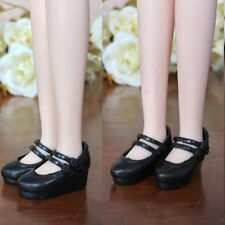 Black Fashion Wedge Heel Shoes For Blythe Dolls 1/6 High Heel Shoes For Licca Doll Mini Shoes For 1/6 BJD Doll Accessories. Fit for : for blythe doll 1/6, for Licca Doll, for Azone doll, for Pullip doll, for momoko doll. A Brand New Long Wool Wig/Hair 1/8 AE PUKIFEE LATI BJD Dollfie 12cm 4.7" Size: Circumference of the head 12cm Condition : 100% Brand New Package Included：1*wig only (not include the headdress) Color:As picture Fits on a AE PUKIFEE LATI 1/8 BJD dollfie Luts and other similar sized ball joint dolls. Large lot of 11 Strawberry Shortcake Dolls From the early 80s. Agaim these are not mint but very GOOD condition. 100% Original MGA. Eye Spy Series Lil Sisters dolls! Lil Sisters in cold water to dicover a color change surprise! L.O.L. Surprise! Eye Spy Series Lil sister doll. Unbox the spy glass to find codes and unlock surprises! A Brand New Soft Wool Wig/Hair 1/8 AE PUKIFEE LATI BJD Dollfie 14cm 5.5" Size:Circumference of the head 14cm Condition : 100% Brand New Package Included：1*wig only (not include the braid molding and headdress) Color:As picture Size: Circumference of the head 14cm. Fits on a AE PUKIFEE LATI 1/8 BJD dollfie Luts and other similar sized ball joint dolls. This cutie is life like in its features and size! She has a vinyl face and hard plastic body with hard plastic arms and legs. Her hair is made from tightly curled, auburn red, saran that is rooted through her head. ☞Condition: brand new ; ☞Color: white; ☞Weight : about 12g ; ☞For BJD YOSD MSD SD SD17 DOD AOD DK DZ Doll to fix eyes , not for human; ☞Item includes : 12g Fixing Putty only ; ☞Remark : they are made by hand , may not perfect. Only the clothes （ Only dress X1 kettle x 1 shoes X1Does not include pacifiers and headwear ）. I believe any problem can be settled with our good communication. She has blonde hair and brown eyes with all their lashes and open and close as they should. Her vinyl limbs are clean, little loose, but stands and holds a pose. 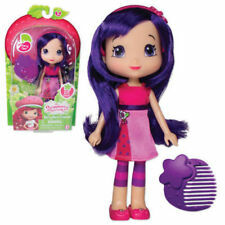 The vinyl is the softer and plumper type as with the older dolls. ↓More than 50 different LoL Surprise Rare dolls on my ebay store.↓ Collect them all ↓ Genuine, Real dolls, 95%NEW , LIMITED , SOLD OUT SOON . Condition: Genuine dolls, accessoires as picute ! 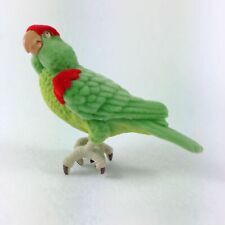 Brand / Manufacturer: Genuine Size: about 3'' tall; Material: Made from high quality PVC; What you see is what you get ! Attention : Great gift & collection for LoL Surprise fans !. Available for sale is Tonner Re-Imagination Sinister Circus Ring Mistress. She comes undressed as photographed. She has no staining. She no longer has her original box, or shipper. Please ask questions before bidding. American Girl GRAND HOTEL LUGGAGE CART. Condition is Used. Shipped with USPS Parcel Select Ground. 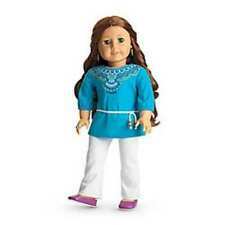 In 2000 Robert Tonner reintroduced the 8" Betsy McCall doll. This sale is for the plaid dress only. It is the dress to the outfit Miss School Girl. In 2000 Robert Tonner reintroduced the 8" Betsy McCall doll. This sale is for the Betsy McCall Makes A Wish dress only. 16" Robert Tonner Doll . Condition is Used. Refer to all the photos for condition. It is in used condition but looks excellent, no stains, and no fading. Outfit consists of a short sleeve top, long sleeve cardigan, and skirt. 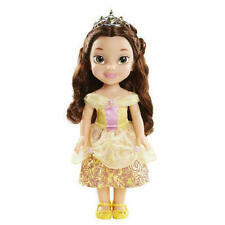 New Disney animator's collection mini doll Rapunzel with Pascal from the animators gift set. Doll and accessories pictured is what you will receive. The sale we be cancelled if you have not paid within 24 hours after the reminder. 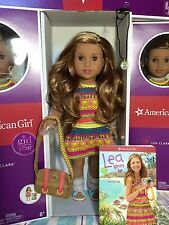 American Girl Holiday Dress Set Navy Sequins BNIB Retired. Condition is New in original box. Shipped with USPS. All of my listings are from a smoke-free home. 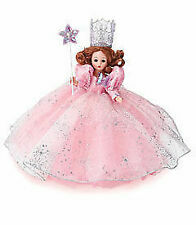 16" Tonner Doll . Condition is Used. Damage to outfit. 16" Robert Tonner Doll . Condition is Used. 16" Robert Tonner Doll . Condition is Used. Damage to boots. Tagged Dress For 14” Ideal Toni Doll Pink Print Built In Slip. Fits the 14” P90 walker doll. I rinsed the dress in mild soapy water, but did not soak it or spot treat any of the brownish areas. I think they will come out. Dress was quite dirty and came out like this with just that light rinse. Dress is in good sturdy condition with no missing buttons or tears. Shipped with USPS Priority Mail. Buyer pays $3.00 shipping. Happy to combine shipping with multiple purchases. Please let me know if you are waiting for my additional auctions to close. PayPal only within three days of auction close. Also fit for : Licca Kurhn doll, DAL, Obitsu 21-25cm Body and Azone Pureneemo Body. Ribbon, Cords. Doll Accessories. Baby Children Supplies. 1x Doll stand. - Base width: approx. Model Trains. Wooden Toys. Note: Itcan make a sound ,but not included the battery. Condition is New. Exclusive BFF Sticker. Everyone knows that BFFs go everywhere together, which is why these L.O.L. Surprise! Unwrap two L.O.L. Surprise! balls, each with 7 surprises, to unbox Leather & Lace, boy and girl BFFs from the opposites Club! 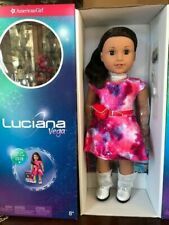 Boots for Integrity Doll 2015 w/ Box. New ListingVintage Ideal Tuesday Taylor Beauty Queen with OSS + Shoes Lot + Clothing Lot!! Strawberry Shortcake PVC Deluxe Mini Miniature Kenner Rocking Horse. Condition is Used. Shipped with USPS First Class Package.